The Suns host reigning premiers Richmond at Metricon Stadium on the Gold Coast. On current form, this clash could prove to be a handy percentage booster for the visitors. The Suns' value to the competition will be called into question if skipper Steven May follows Tom Lynch back to Melbourne. It’s been a tough first season for new coach Stuart Dew and it appears things are only going to get worse before they get better. The Suns were hammered by Melbourne last week to the tune of 96-points and they tackle Richmond this week at home. The Suns are averaging 8.3 goals per game and it’s difficult to see how they can apply any scoring pressure to the top side in the competition. Steven May will have the task of limiting the damage of Richmond forward Jack Riewoldt who is in career-best form. David Swallow and Rory Thompson will be included in the line-up if they can pass a fitness test. The only mark on Richmond’s stellar record this season is their four losses – all outside of Victoria. Richmond hasn’t won an away game since round 22 against Fremantle. The Tigers were able to complete 19 consecutive victories at the MCG with a 3-point win over Geelong. 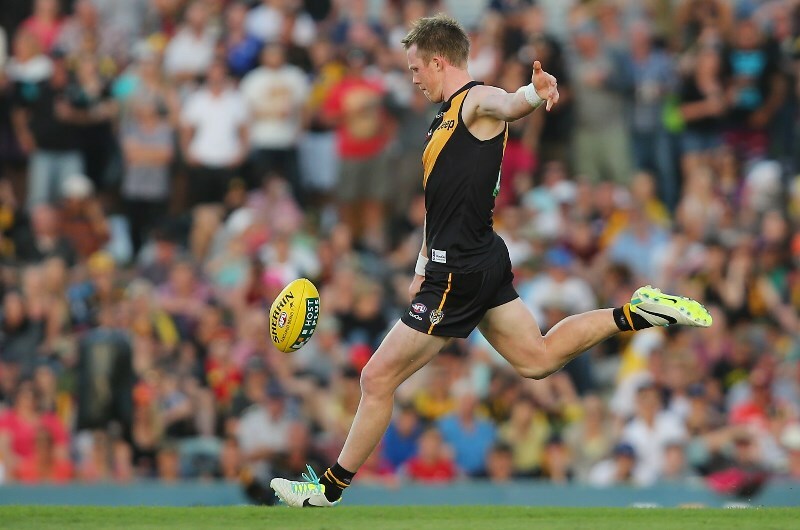 Jack Riewoldt kicked 4-goals and should enjoy a day out against a brittle Suns backline. Dustin Martin had 26 disposals and should be able to continue his stellar form on the Gold Coast. Martin had 34 disposals the last time these two sides played in 2017. This will be a clash between the best final quarter team against the worst final quarter side. Richmond are ranked first with plus-222 points and the Suns 18th with minus-264 points. The Suns will run out of steam as the game progresses, leaving the Tigers to finish strong. These two sides last clashed in round 19, 2017 on the Gold Coast. Richmond won 14.14(98) to the Suns 10.5 (65). 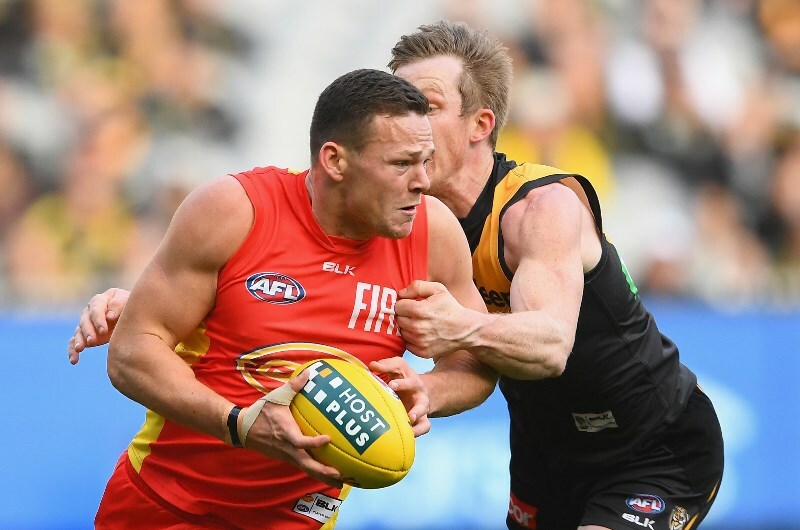 Richmond have won four of the last five matches against the Gold Coast. The Suns rank in the bottom two of every attacking category in the AFL and don’t expect Richmond to show any mercy. The Tigers are the second attacking side in the competition, averaging 13.9 goals per match. Jack Riewoldt is coming off a 4-goal haul against Geelong and remains in contention for the Coleman Medal with 48 goals this season. The Suns have struggled to contain forwards, with Tom Hawkins kicking 7-goals against the Suns in round 11. Riewoldt should have plenty of opportunities to kick a bag against the Suns this weekend. The Suns rank 18th for scoring in the AFL averaging 8.3 goals per game. The Suns have kicked 100+ points once in 2018. Richmond are averaging 117 points in the last 3 matches against the Suns. Richmond have won 4 of the last 5 matches against the Suns, by an average of 35.5 points. Unfortunately, the Gold Coast is a place where sports teams go to die. The only positive thing for Suns supporters right now is that they have Carlton to keep them company at the bottom of the ladder. Richmond have lost all four interstate games this season but should be able to rectify that record against the Suns this week. Another hammering is on the cards this week and I’ve gone for the points as there’s no value in the head to head market.